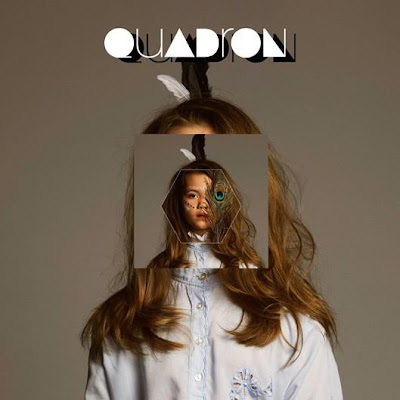 KCRW has been pushing the Danish duo Quadron hard, and for good reason. Quadron formed when producer Robin met 16 year old vocalist Coco. While comparisons are often an easy way out for writers, it's Friday afternoon, and we're taking it. Quadron land somewhere between the glitchy-dub-style production of JJ, the Daptone soul sound, and the accessibility of Adele. Coco's voice is clean and soulful, while the production-style gives Quadron's self-titled debut (March 23, Plug Research) the grittiness that it needs to be, well, cool. There are hints of African polyrhythms scattered throughout, but the true focus of the album is on slow-burning soul numbers, well-crafted melodies, and stellar vocal performances. While we're still consuming the entire album (we got it yesterday) Quadron seem destined for big things stateside, as well they should be.